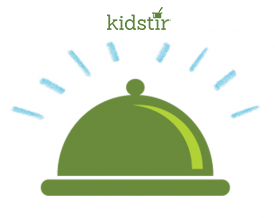 Use the “Download Here” link above to print our list of Kids Kitchen Rules. Hang on your refrigerator or keep in another handy spot in your kitchen! Talk to a grown-up before you start making a recipe. Roll up long sleeves or wear short sleeve shirts. Tie back long hair to keep it away from food. Read the recipe from start to finish. Put out all the tools and ingredients. French chefs call this “mise en place” (say meez en plas). Be sure to set the timer. Be careful around sharp and hot items. Don’t forget to clean up the kitchen afterwards! Here’s a video about one of the rules – Measure Carefully. Enjoy! Kitchen skills – Measure up. Did you know there’s a difference between liquid and dry measuring cups? For liquid, use a clear measuring cup, then read the measure from eye level. For dry ingredients, fill your measuring cup, then use the flat side of a butter knife to level it off. Perfect!